When headed out to a bachelorette weekend with the girls, I knew I wanted to keep my makeup bag simple with the essentials. I also didn’t want to be the one everyone would be waiting on to get ready, so I chose to throw in a stick foundation to make things easy and light. When using a stick foundation you are in total control of where you want the foundation and how much. Drawing a few lines and buffing it in is as simple as it gets. For this specific event I chose the Maybelline Fit Me Stick in shades 355 and 340, their two darkest shades. The oil free formula allowed my face to stay semi matte all night with only one touch up. With stick foundations you can eliminate steps in your routine. If you’re pressed for time, taking a shade darker than your skin tone and outlining the perimeter of your face, while taking a shade that is your tone and outlining it in the middle gives it that contour effect once it’s been blended well. 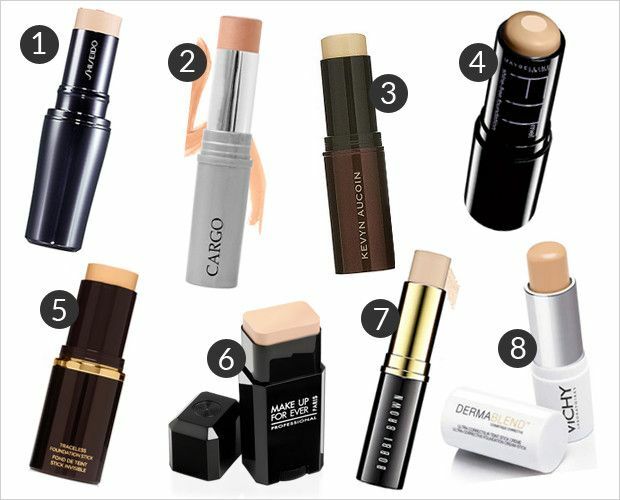 Stick foundations are great for travel since they are the least messy and easy to manage. They also provide great coverage; they blend with ease, and their creamy texture is great for those with dry skin. Stick foundations work for everyone; whether you’re a beginner or a pro. Bobbi Brown Skin Foundation Stick is the holy grail of them all. There is a shade for every skin tone and undertone. Black Opal also has stick foundations that provides great coverage and delivers high end results for a fraction of the price. For women of color there is a wide variety from brands like Becca, Iman, and Fashion Fair Cosmetics. Lastly, remember the Maybelline Fit Me Foundation stick I mentioned previously? well, they have one downfall; they only have twelve shades. Regardless, they all are worth the try.